Set of six gourmet shish-ka-bob skewers. Includes stopper to hold food in place. 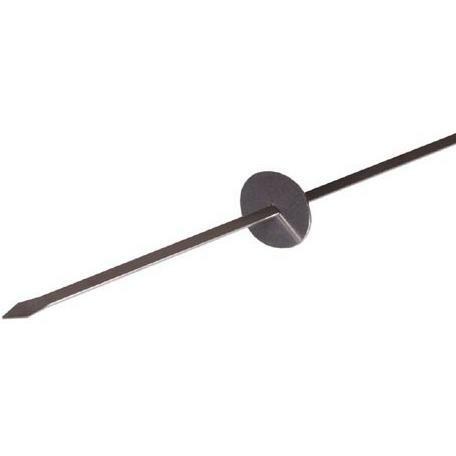 Stainess steel handles provide safe cooking. Shish-ka-bobs are a tasty but delicate menu item that requires careful preparation. Unfortunately, wooden skewers can catch fire or break, ruining the hard work that goes into putting the perfect shish-ka-bob together. 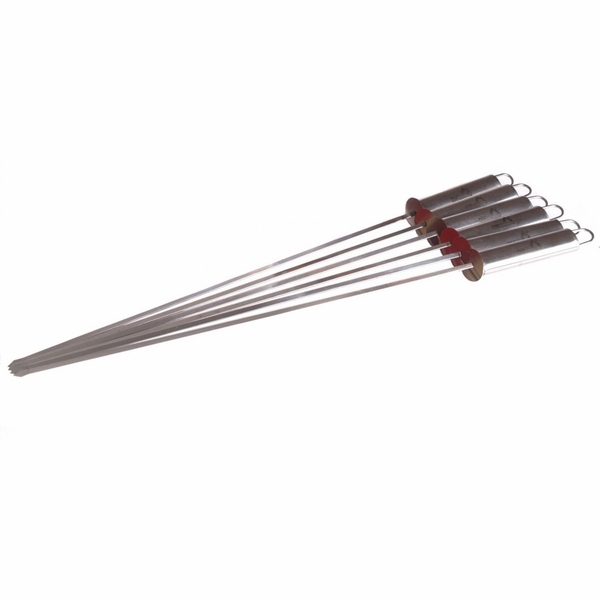 This set of six stainless steel skewers helps the grill master create and preserve his masterpiece. Each skewer comes equipped with a stopper to hold pieces of meat, fruits, and vegetables in place. And stainless steel handles provide safe and comfortable turning during cooking. So break out the shrimp, the cherry tomatoes, the pineapple chunks, and the peppers and start skewering for those gourmet shish-ka-bobs.